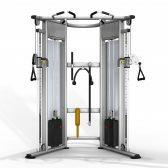 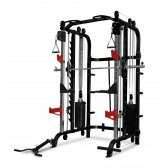 The dual cable machine also known as a functional trainer has gained huge popularity in recent years and are a brilliant addition to any home or commercial gym. 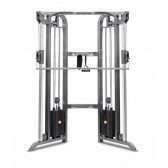 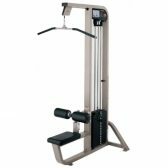 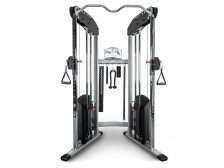 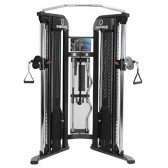 With a small footprint these unique machines now come with a huge assortment of cable attachments adjustable J hooks, band pegs, chin up bar, and some even with a smith safety barbell, this superb machine gives you the ability to perform an unlimited number of free weight exercises safely and work the entire body due to the unique cable design. 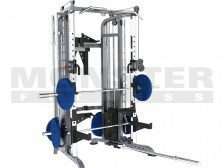 Some even fold if you have limited space. 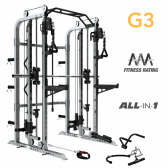 Call in to try out our extensive range in a no pressure environment, our friendly staff will assist in finding the perfect piece of equipment for you to start your journey.